In the video, Harper is happily drawing what seems to be a gingerbread man encircled in Christmas lights while she croons the holiday tune and hits some Mariah Carey-worthy high notes. Of course, it’s possible that Harper is a Stranger Things fan and is actually drawing a demogorgon wrapped in Winona Ryder’s magic communicating Christmas lights. Whatever the case, the whole scene is adorable — especially with what we presume is Victoria’s delighted giggle in the background. “4th November and Harper is getting into the Christmas spirit! !” Beckham captioned the clip. 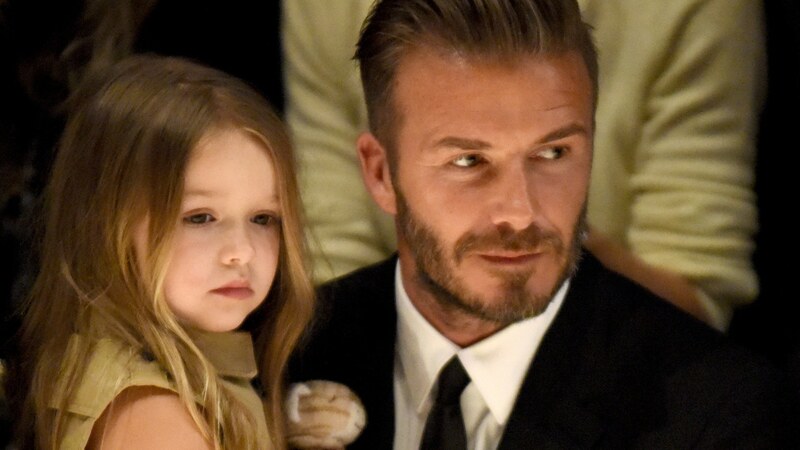 This isn’t the first time Beckham has shared a Harper serenade. The little girl sang a sweet rendition of ‘Happy Birthday’ to her proud mum back in April. And whether or not she’s got girl-band dreams like Mum, Harper certainly has some pipes on her. Baby Bex’s musical stylings simply prove that our Beckham family fandom is well-founded. And though chances are slim we’ll ever meet them at a tea party at Buckingham Palace, we can dream, right?